In our annual Go Green issue we chat with a mother-daughter team who use their very own natural resources to make every skincare product by hand with natural ingredients that are plant based. Learn more about this duo, their products, and how they give back to the community with every purchase. Leslie Rector (LuLu) and Max Paz, a mother daughter team since Spring 2012, work together to create natural and organic products for their organic skincare line, LuLu and Max. “We strive to produce the way God intended for us to live,” explains Paz. 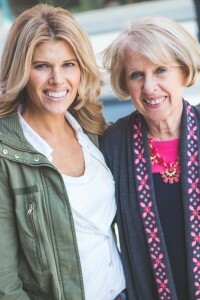 Max Paz (Left) and Lulu Rector (Right), co-founders of LuLu and Max. Rector is an award winning artist and active herbalist. Inspired by her farm located in Lancaster, Ohio where she keeps up with her plants, herbs, and grass fed goats, she began selling her herbs, heirloom vegetables, handmade herbal soaps, healing herbal salves, and skin care products at her local farmers market. “When my children were young I would always tell them we didn’t need to buy that because we could make it, now my youngest daughter Max and I are doing just that,” explains Rector. After three children, Paz began to see the signs of aging and wanted to create an all-natural, effective and affordable anti-aging face cream. Paz soon developed a formula that is today their number one best seller which encouraged her to complete the anti-aging line. “All of our anti-aging skincare is made by hand using cutting edge technology, natural minerals, and powerful plant extracts,” says Paz. In order to restore a healthy youthful appearance, Lulu and Max use natural ingredients that are plant based and nourish skin with the essential vitamins and minerals needed. ”We carry herbal healing salves, made with fresh herbs from Lulu`s garden, natural loose leaf teas blended by hand, using a fresh fusion of fruits, herbs, flowers, and tea leaves, and also a variety of goat milk soaps made from Lulu`s small herd of goats,” explains Paz. 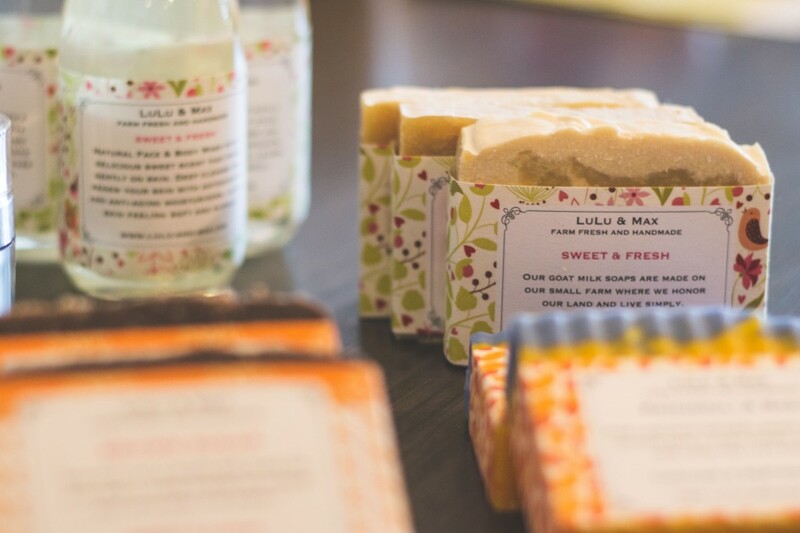 Top sellers for Max and Lulu have been their Face Lift Creams, Loose Leaf Teas and Goat Milk Soaps. Their products can be found online through their website and through etsy. Lulu and Max products can also be found in Ohio at Celebrate Local, Simply Vague, The Green Velvet, The charm of Dresden, The Well, 27 West and Company, Georgie Emerson Vintage, Ohio Herb Education Center and Coffee Gone Wilde. Giving back to the community is very important for Lulu and Max, they continue to give 10% of profits to local charities. “Giving back is important and we donate to various Christian charities, such as missions and community support. Most of our donations have gone through Zion Christian Fellowship in Powell and Grace Fellowship in Pickerington.” “We believe these two churches utilize and best support the usage of these funds for betterment of Columbus and surrounding areas,” explains Paz. Max and Lulu will continue to expand their lines, adding additional products as well as transitioning to using more essential oils and organic ingredients. They also plan on finding more local charities to give back to in the future. Visit their website here to learn more.